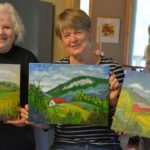 Wildwood Art Adventures is pleased to present a series of small group lessons to promote skills and fundamental concepts. These courses will provide the skills and knowledge necessary for success in Visual Arts. They are suitable for young and old and provide a flexible start dates. For example you could join us at lesson 5 and work through to 8, then complete 1 to 4. 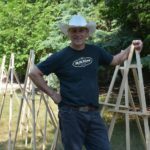 Date: Tuesdays, 8 weeks – flexible start and stop dates Time: 1 PM – 4 PM Canvas: stretched canvas or panel – custom sizes available as necessary Instructor: Robert Pointer Description: Students will work to produce a version of an existing Renaissance or Baroque painting. 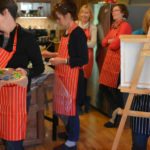 They will use traditional oil paint methods of coloured ground, under painting, and glazing. Techniques of taking a drawing to a fully realized painting. Date: Wednesdays 8 weeks – flexible start and stop dates Time: 1 PM – 4 PM Canvas: 12 x 16 stretched canvas & others as needed. 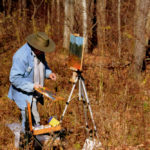 Instructor: Robert Pointer Description: exploration of styles and techniques of landscape artists from 1600 to 1850. 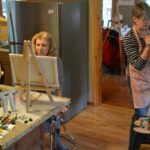 Students will paint a variety of images based on Rembrandt, Rubens, Constable, and Turner following step-by-step instruction.